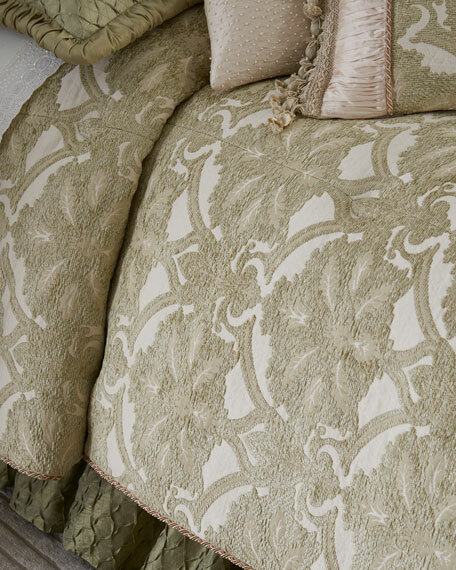 Scallop-edged comforter finished with cording. 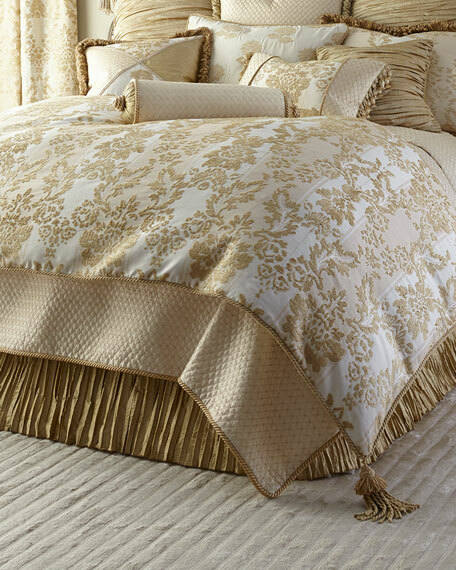 Diamond grid on one side; floral on the other. 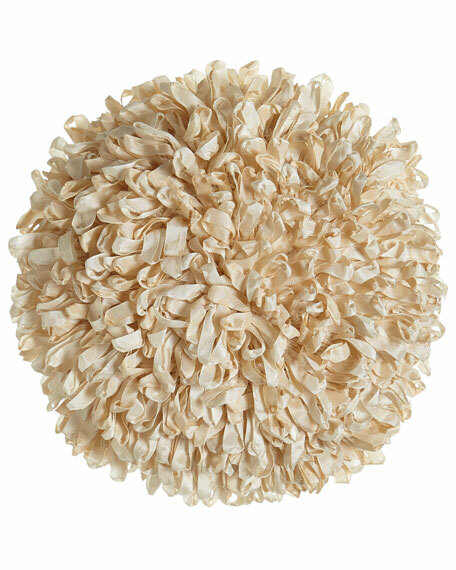 Finished with a 3" ruffle and zipper closure. 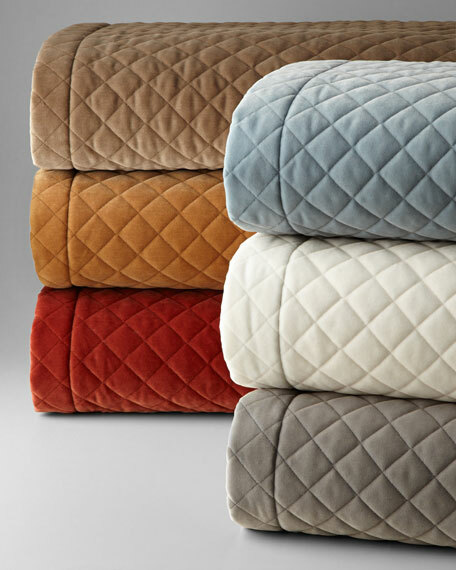 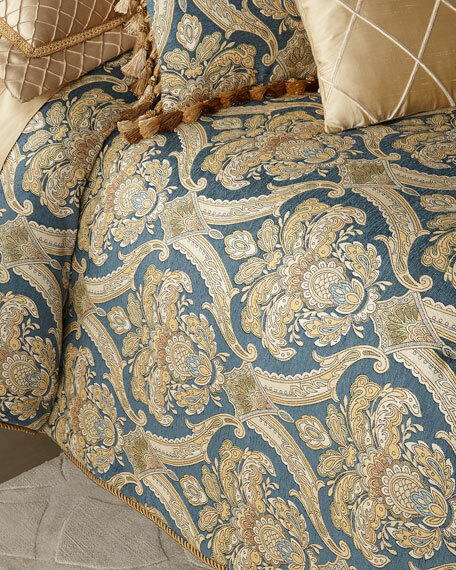 Coverlet made of polyester/cotton with diamond quilting. 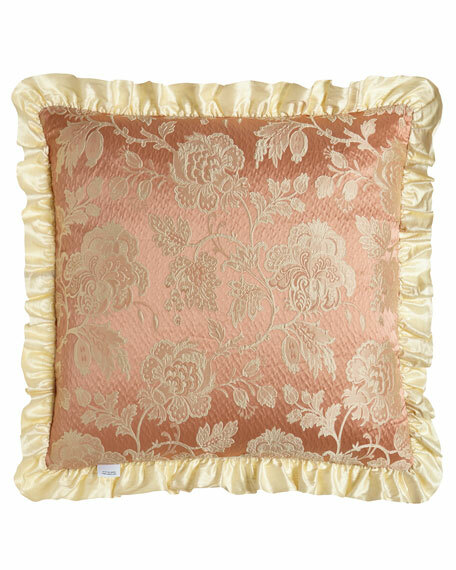 Austin Horn Classics Primrose Pieced Pillow, 18"Sq. 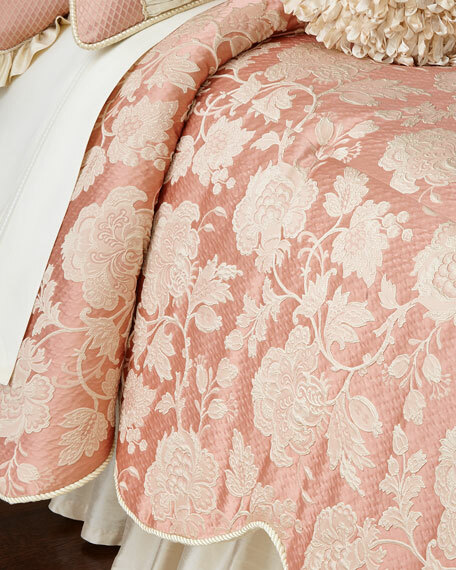 Pieced pillow with Grecian knot at center. 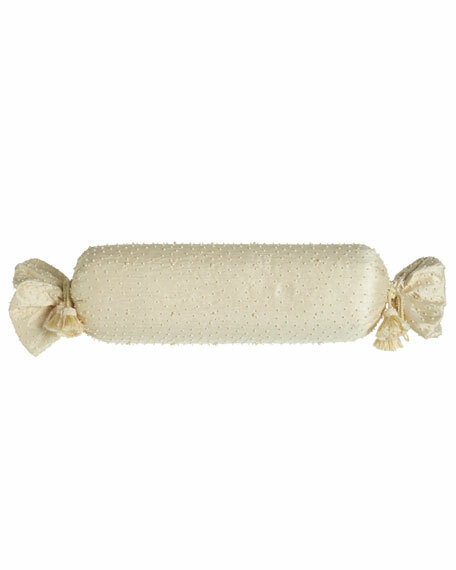 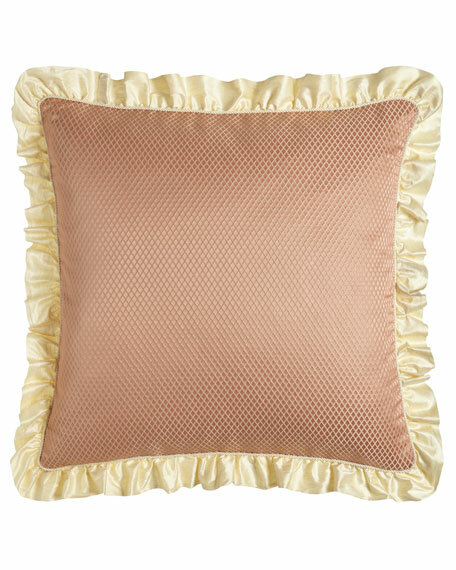 Austin Horn Classics Primrose Neck Roll Pillow, 6" x 24"
Silk neck roll pillow with pearl-like beads. 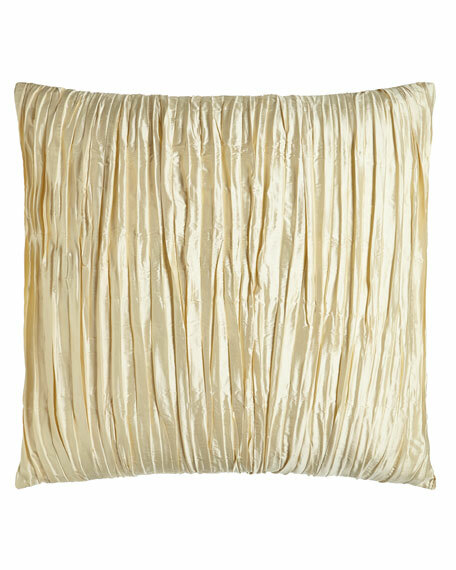 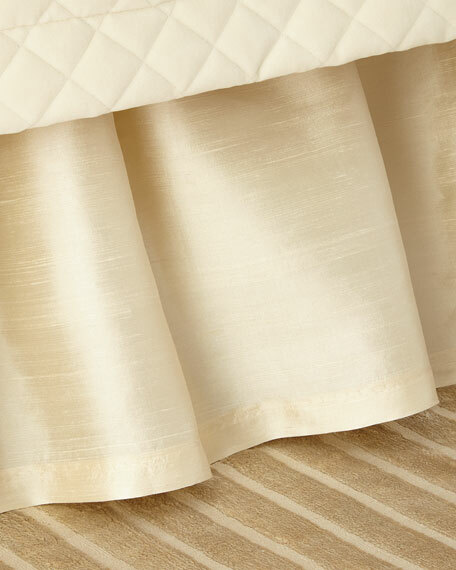 Austin Horn Classics Primrose Pillow with Fringe, 20"Sq. 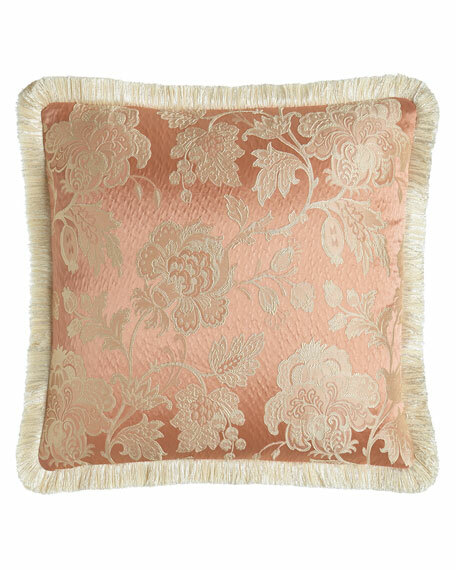 Blush pink floral jacquard pillow. 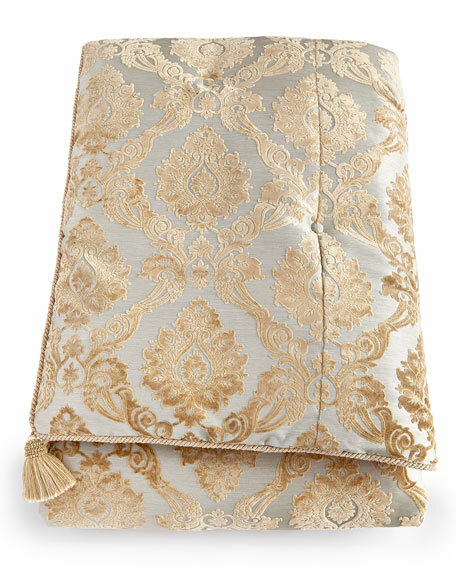 Finished with fringe and zipper closure. 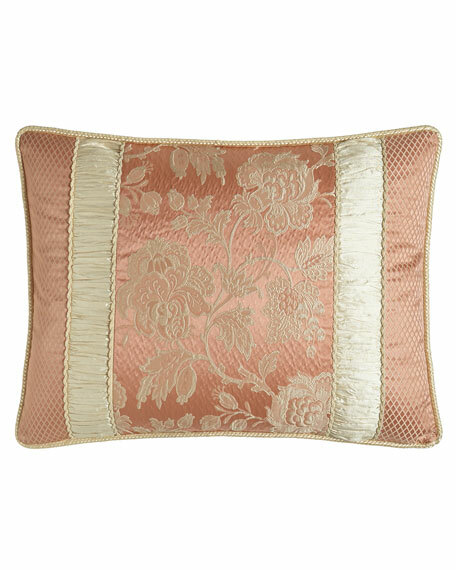 Austin Horn Classics Primrose Round Pillow, 13"Dia. 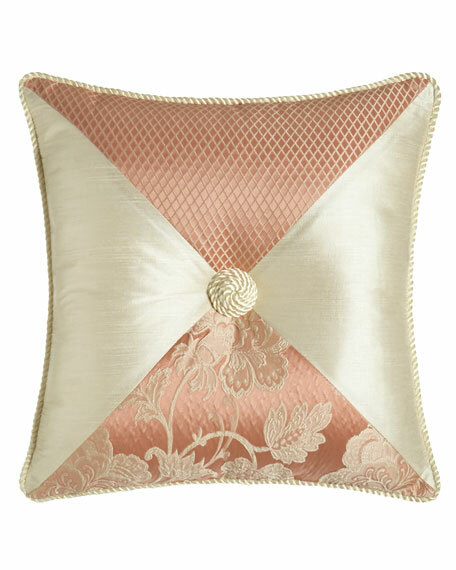 Silk pillow with ribbon loops.